Gamble Guitars Rockfire Junior, Black Jack Edition, dark red, flamed honduran Mahogany neck! SOLD! Gamble Guitars 'Miss G.' special, SOLD! Gamble Guitars Big Mama, Black Jack Edition, dark red, SOLD! Gamble Guitars, Rockfire Special, Resident Custom, SOLD! 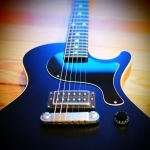 Gamble Guitars Rockfire Semi, Black Jack Edition, - SOLD! Gamble Guitars Rockfire Junior - SOLD! Gamble Guitars Big Mama, Kloppmann '59 Edition, SOLD! Gamble Guitars Rockfire Junior, SOLD! Gamble Guitars Rockfire Semi - SOLD! Gamble Guitars Rockfire Standard, Black Jack Edition, light aged, SOLD!